This page lists my reviews. Right now the list is still very short. Liz Castro sent me a review copy of her book on creating ebooks for the iPad – October 2010. I bought the tablet in July 2010 and wanted to share my first impressions – August 2010. 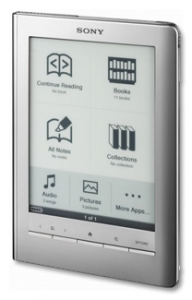 In 2010 I looked into buying an ereader but decided that it was still too early. Until that time I had read ebooks exclusively on the small screen of my Palm PDA – March 2010.